Despite undertaking several awkward carriage relocations in the past, this was the most challenging to date. 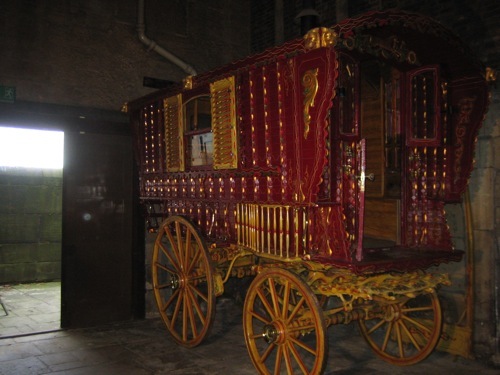 The Bill Wright Ledge Van had been on display in the Street Life Museum in York since the 1960’s. Due to refurbishment the caravan had to be relocated but the only exit from the street scene was through a narrow doorway immediately followed by a 90° turn past York Crown Court. The Caravan was dismantled, a 2 hour slot was arranged between prison van arrivals to the Court, and we pushed! 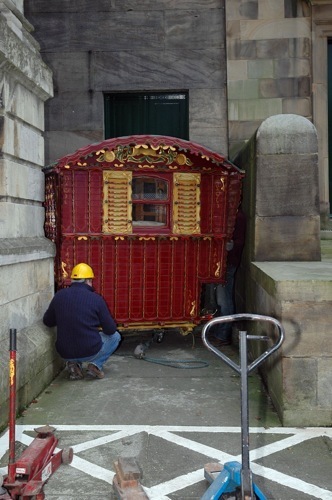 The Lord Mayor’s Coach received a thorough on site overhaul in readiness for the annual Lord Mayor’s Parade. Following completion of the work we provided a detailed condition report and insurance valuation. 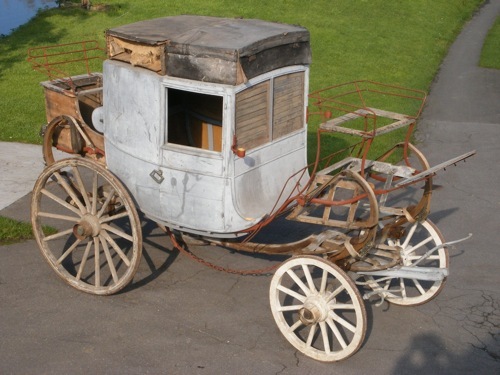 The famous American Coachman Jack Seabrook originally owned the Nimrod Road Coach. 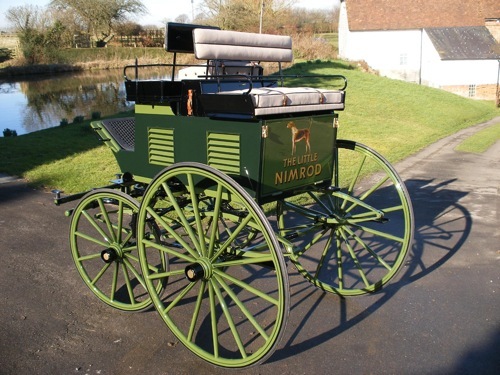 Rather than using it every day, he acquired a smaller sporting carriage that he then named the ‘Little Nimrod’. Fairbourne Carriages was privileged to undertake therestoration of this famous vehicle for its new owner,that was completed earlier this year. In February we hosted a training day, in association with the BDS, for owners of traditional carriages at our workshops in Kent. 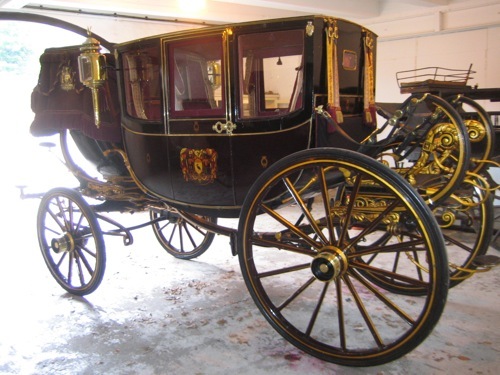 The sessions were designed to give carriage owners an insight and a basic understanding of their vehicles. A collection was made at this event for Orbis who fight blindness in developing countries. Fairbourne Carriages is pleased to regularly support this charity. In addition to several class wins, including light trade & Hackney type, for the second year running, a carriage restored by us won the over all show championship. 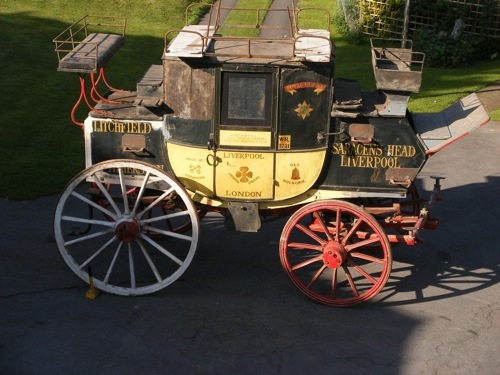 The Mossman collection at Stockwood Park has recently been a recipient of some Heritage Lottery Funding that has enabled Luton Museum Services to redesign the exhibition of the Mossman Collection of Carriages. We provided carriage condition reports, insurance valuations, historical information, repairs and finishing touches, prior to their opening this summer. We were delighted when the Brewster Park Drag, that we had recently restored, won the over all coaching championship in May this year at Windsor. Also on the coaching front a Holland & Holland Park Drag that we have restored won the prestigious coaching class at the Devon Horse Show in the USA. Two significant Historic Carriage discoveries have been in our workshops this year. This is always a difficult point to define because inevitably, aspects of conservation become restoration as work progresses. Earlier this year we were involved in the conservation of the Londonderry State Chariot that will eventually be displayed in Northern Ireland by the National Trust. 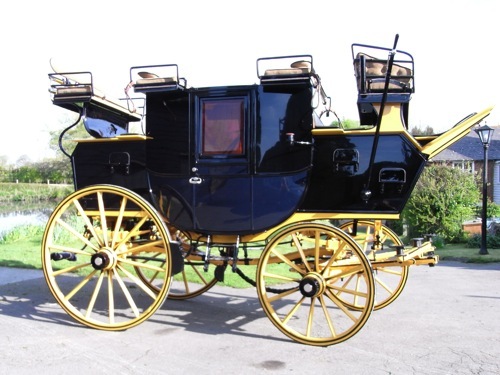 Fairbourne Carriages are the country’s leading historic horse drawn carriage specialists and offer a full range of traditional skills and services to our world wide client base. We regularly advise on and undertake a variety of allied services including consultation, vehicle valuations and condition reports for museums and private collections. English coach-building at its best –continuing the tradition.